Going to Porthcressa beach, St. Mary's, Isles of Scilly. White clouds and blue sky over a calm sea, Porthcressa St. Mary's Isles of Scilly. 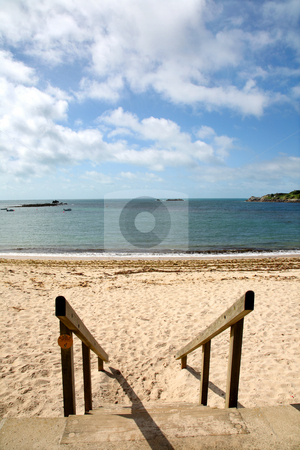 Photo of Going to Porthcressa beach, St. Mary's, Isles of Scilly.